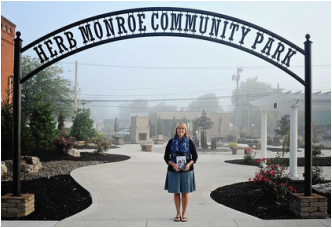 Connect with author Jane Nice to learn more about Herb Monroe! Published in 2014, Married to Millie tells the story of a humble man, Herb Monroe, who lived to be 98 years old. Learn more about Herb and his wife, Millie, by ordering the book now. 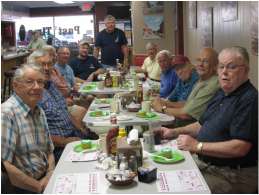 There are many ways people in northwest Ohio were positively impacted by Herb Monroe in the more than 70 years that he lived there. He always remembered to ask about you; it was never about him. Married to Millie covers a wide variety of themes that made up Herb's life. These include Alzheimer's Awareness, Berea College, Rural Electrification, coping with losing a child, his strong Christian faith, and his favorite restaurant, Bob Evans. The community of Paulding, Ohio continues to celebrate the humble Herb Monroe. In 2014, the Herb Monroe Community Park was dedicated in his honor.